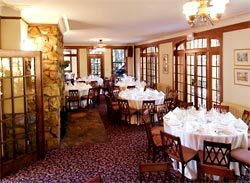 The Houston Mill House, a historic Georgian Fieldstone manor, offers an unforgettable dining experience for any distinguished occasion. 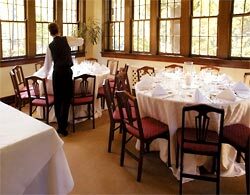 The Main Dining and Terrace Rooms, both overlooking a wooded expanse, are exquisite offerings for private day or evening parties or social events. The close proximity to Emory University campus is ideal for a luncheon or dinner with a quiet meal overlooking the historic Houston Mill Woods.